Have you ever done any shopping online? Online shopping is fast gaining popularity recently, and many firms are jumping onto the bandwagon to take advantage of the increased consumer interest in online shopping. The ease of use, great variety of goods and services, and the speed and convenience of online shopping as opposed to traditional shopping have gradually influenced consumers to switch to online shopping. The most important factor for people switching to online purchases, in my opinion, is the increased safety factor in online transactions, for example online trust marks that sanctioned by government agencies such as TrustSg. They have significantly increased the people’s confidence in secure online transactions. Nevertheless, the recent security breach which caused a leak of information on over 40 million customers worldwide and information on 200,000 cards were stolen, and the recent spate of online scams such as phishing have compromised many consumers’ confidence on online transactions. In this article, we have list out several tips which we hope can help you to avoid online scams and make your online shopping transactions more secure. Shop with companies you know. Anyone can set up shop online under almost any name. If you’re not familiar with a merchant, ask for a paper catalog or brochure to get a better idea of their merchandise and services. Also, determine the company’s refund and return policies before you place your order. These should be posted on the company’s Web site. Keep your password(s) and personal information private. Be creative when you establish a password, and never give it to anyone. Avoid using a telephone number, birth date or a portion of your NRIC number. Instead, use a combination of numbers, letters and symbols. Don’t disclose personal information – such as your address, telephone number, NRIC number or email address – unless you know who is collecting the information, why they are collecting it, and how they will use it. If you pay by credit or charge card online, your transaction will be protected by the Electronic Transactions Act. Under this law, you have the right to dispute charges under certain circumstances and temporarily withhold payment while the creditor is investigating them. 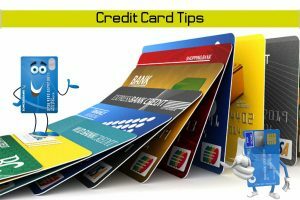 Some companies offer an online shopping guarantee that ensures you will not be held responsible for any unauthorized charges made online, and some cards may provide additional warranty, return and/or purchase protection benefits. Be sure to print a copy of your purchase order and confirmation number for your records. Save all receipts until shipment arrives. Some companies let you pay bills and check your account status online. Before you sign up for any service, evaluate how the company secures your financial and personal information. Many companies explain their security procedures on their Web site. If you don’t see a security description, call or email the company and ask. Use only PCs or devices that you trust. Refrain from performing online transactions on shared/ public PCs or devices. This is because there can be key-stokes capturing application that can log down your User IDs and passwords. If you really need to do so, ensure that it is free from viruses and be sure to clear your browser’s cache before use. Remove confidential files from temporary storage areas. You are strongly advised to remove your confidential files from temporary storage areas (eg. temporary folder or your a:\drive) once you have transmitted your file. Clicking on such files could activate a computer virus that might affect the operation of your computer and/or damage the information stored on your computer. You can also protect yourself against viruses carried by e-mail or by computer files that you’ve received on a floppy disk, by purchasing and installing on your computer or network a virus-protection program. Don’t fall for internet scams. 1) Hidden addresses – beware of traders who try to sell goods or services using an anonymous email address or a post office box number and make it hard for you to find their actual location. 2) Capital letters shouting at you – even the look and wording of adverts can make you suspicious. Be wary of adverts that shout at you, like ‘THE SECRETS OF GUARANTEED SUCCESS!! !’ or ‘How to make a ï¿½ï¿½ï¿½ï¿½million!!!’. 3) Vague references – ‘Thousands of satisfied customers!’ might sound impressive, but you’re rarely given enough information to check them out. 4) ‘This is not a scam’ – Don’t fall for this trick. A legitimate business doesn’t need to convince you of its legality. 5) Promises of instant wealth – if it sounds too good to be true, it usually is. 6) Pay for a secret – some scams will offer a ‘secret’ money-making method available ‘only to a select number of people’. But a typical scam reaches thousands of users. Details of the scheme are kept hidden until after you pay a fee. 7) Hidden expenses – be wary of advertisements promising ‘no start up costs’ and then asking for a one-off fee. Don’t hit the order button more than once, as this can result in a duplication of the charge. When exploring online, think ABC to remember the privacy and security questions you should ask about a company. About me: What information does the company collect about me and is it secure? Benefits: How does the company use that information and what is the benefit to me? Choices: What choices do I have about the company’s use of information about me? Can I opt-out of having information used for other purposes, and how? Omigo provides you with the widest range of products at the best prices in Singapore. They offer a constantly expanding range of categories and products, including the latest consumer electronics in mobile phones, tablets, cameras, computers, audio & video, as well as home appliances. They bring to you high quality products from top brands all around the world, such as Apple, Samsung, Bose, Canon, Sony and more. Plus, as a limited time offer, you can enjoy free delivery for any amount you spend, and free returns within 14 days of receipt of your order! With more than 7,000 products from over 500 brands, you’re spoilt for choice at Omigo. Your contracting party for this website is SingPost Ecommerce Pte. Ltd. (“SingPost eComm”), unless otherwise explicitly specified on the website. SingPost eComm, part of the Singapore Post Limited group of companies, is the owner of the Omigo brand, and operates the on-line brand store of Omigo. Omigo is both the brand name of this website and the channel through which local and/or foreign private labels, brands, and/or third party manufacturers and service providers sell their products and services on this website. 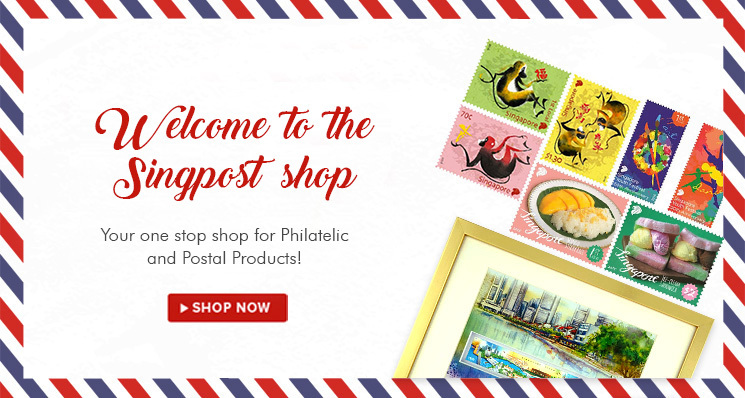 SingPost eComm is the fulfilment party for the products ordered and sold on Omigo, and the owner of this site. When do these SingPost eComm Delivery Terms apply? These Delivery Terms apply to all offers and agreements relating to the sale and delivery of products via this website by SingPost eComm. When you order anything from this website (http://www.omigo.com) or any web pages directly connected to this website, your agreement to the Delivery Terms during the order process constitutes your acceptance of the applicability of these Delivery Terms. It is only possible to deviate from these Delivery Terms if agreed in writing by SingPost. The representations of products on this website are without obligation and do not bind SingPost eComm. SingPost eComm are likewise not bound by manifest clerical errors and mistakes in promotional descriptions and other statements referred to on this website. Minor colour and other variations in products are possible as a result of different image acquisition, display technologies or other technical reasons. SingPost eComm are not liable for these variations and deviations. The stated prices include Singapore Goods and Services Tax (GST). Prices are quoted in Singapore dollars. SingPost eComm reserves the right to make price and product changes prior to an order placed by you. SingPost eComm reserves the right to change, limit or terminate any special offers or discounts at any time. Orders you place through this website are only an invitation to you to conclude a sales contract. The sales contract is only concluded upon the confirmation SingPost eComm’s e-mail to you. Until you have received this confirmation, you can still cancel the order. You warrant that the information you provide to SingPost eComm in the request or order is accurate and complete. SingPost eComm is never obliged to accept an order. SingPost eComm is entitled at all times to verify an order in advance or to refuse an order without providing reasons. If SingPost eComm does not confirm your order within ten working days, it is deemed to have been refused. SingPost eComm will deliver to the shipping address indicated by you within Singapore. SingPost eComm can only deliver to a delivery address which is a home or office address. Deliveries may be done on Mondays – Saturdays, not being a Sunday or a public holiday. SingPost eComm is entitled, insofar as reasonably possible, to make split deliveries so that you receive the ordered products as soon as possible. There are no additional costs associated with such split deliveries. However, in the event that you request that SingPost eComm deliver the order in parts, SingPost eComm may charge you for extra delivery costs. Each split order shall constitute a separate sales contract. If SingPost eComm is late delivering a part or one split order is faulty, that will not entitle you to cancel any other split order. Delivery periods are indicative and are therefore not regarded as strict deadlines. The mere fact that a delivery period is exceeded does not entitle you to compensation. SingPost eComm excludes any liability for any failure to meet delivery periods. If SingPost eComm discovers prior to entering into the sales contract that it can no longer deliver the ordered products, SingPost eComm may offer you an equivalent product in terms of quality, price and function. You are not obliged to accept the replacement product. You may return it, if you so wish, in accordance with the right of return outlined below. If SingPost eComm discovers after entering into the sales contract that SingPost eComm can no longer deliver the ordered products, SingPost eComm will be entitled to terminate the sales contract. SingPost eComm will, of course, inform you immediately and reimburse any payments made. Please check this website for information on available payment methods. SingPost eComm conducts an individual credit check for each purchase in conformity with this website’s Privacy Notice. Depending on the results of this check, SingPost eComm reserves the right to refuse certain methods of payment, cancel orders or terminate the sales contract. Right of return: Subject to the provisions of these Delivery Terms, you may return the products received within 14 calendar days of receipt. The 14 calendar days period commences on the day of receipt of the ordered products. The right to return product only applies if the products are unused and complete including their original packaging insofar as reasonably possible. SingPost eComm reserves the right at any time to reject returns without any specific reasons. To activate a return under this policy you should ring the SingPost eComm eCustomer Service team on +65 6845-8050 who will talk you through the returns process. In the event of a valid return in accordance with these Delivery Terms, SingPost eComm will reimburse the purchase price received from you within fourteen days of receipt of the product or revocation of the sales contract. Your bank or credit card company may require additional time to process your refund and for it to reach your account. To the extent permitted by law, SingPost eComm excludes all conditions, warranties and guarantees (whether express or implied by or arising under statute, common law, equity, trade custom or usage or otherwise), and makes no representations, relating to the products ordered by you, including warranties or guarantees of acceptable quality, merchantability and fitness for purpose. Nothing in these Delivery Terms excludes, limits or modifies any conditions, warranties or guarantees implied by or arising under statute which cannot lawfully be excluded. Where conditions, warranties or guarantees implied by or otherwise arising under law cannot be lawfully excluded, then to the extent permitted by law, SingPost eComm’s liability for a breach of any such condition, warranty or guarantee is limited, at the absolute option ofSingPost eComm, to the replacement or repair of the products, the supply of equivalent products or the cost of replacing or repairing the products or of acquiring equivalent products. Otherwise, to the maximum extent permitted by law, SingPost eComm and its respective officers, employees, agents and representatives will not be liable for any loss or damage (including any loss of profit, loss of sales, loss of market, loss of goodwill or reputation, third party claims, incidental or special damages or indirect or consequential loss or damage of any kind) to any person or entity, however caused (whether by negligence or otherwise), which may arise directly or indirectly from or in connection with these Delivery Terms, this website or any orders you place via this website. 107 Eunos Avenue 3, #06-02, Singapore 409837, Company Registration No. : 199702032C. If you wish to make a verbal complaint concerning the conclusion of the sales contract or its performance, you may call +65 6845-8050. The delivered products will remain the property of SingPost eComm until you have paid all amounts owing under any agreement to us in full, including the payment of costs, even of earlier or later deliveries or partial deliveries. You may not sell, dispose of or encumber products before ownership thereof has passed to you. Some of the products sold by SingPost eComm may contain batteries. 1. Do I need to register to purchase something from Omigo? Registration is not required. You can always place an order at Omigo as a guest. Nonetheless, if you plan to make regular purchases through our site – we highly recommend that you register. This will save you time when you make future purchases at Omigo. 2. What kind of products can I find on Omigo? We offer a wide range of consumer products, including cameras, computers, home applicances, games, home audio & visual and mobile & tablets. Do check back frequently for new categories and products as we are constantly expanding our range. You can sign up for our newsletter to receive exclusive updates, or follow us on Facebook to stay updated with the latest news, too. 3. How do I find the product that I’m looking for? If you need help finding a product, use our search box at the top of any page. Simply enter either the keyword(s) or product number in the search box and click on the magnifying glass icon. The results of your search will be displayed on the page with links to specific products or categories. You can further refine your search by selecting the various filters (e.g. price, colour, brand) on the upper left corner of the page. Make sure to spell the search word/s correctly to allow more accurate results. Use multiple words to find specific types of products, such as “black camera lens”. You can subsequently further refine your search based on the filters. Before adding a product from the product page to your cart, it may be necessary to choose a size and/or colour for the product you want to purchase. Click on the drop-down menu under the product description to select a size and/or colour. Click on the Add to Cart button to add the product to your cart. You can view your cart anytime by hovering your mouse over the My Cart button at the upper right corner of any page. 5. How do I make changes to my cart? To update product quantity – click on the Update Shopping Cart button. To remove a product from your cart – click on the Remove button under the product name. To apply a voucher discount – click on the Apply Voucher button. You can return to your cart at any time during your shopping experience. Simply click on the My Cart button at the upper right corner of any page. 6. How do I check out? Our simple one-step checkout process is designed to help you complete your order in a fast and easy manner. If you have an existing account with us, simply use your email address to login. If you do not have an account with us, you can check out as a guest or create a new account. Having an account will give you access to handy features such as your address book, order history and updates on exclusive promotions. Billing address: If your billing address is the same as your delivery address, simply check the Ship to the same address checkbox and your billing address will be filled out automatically. If you have stored an address during previous checkouts, you can also use the address book to select the address. Payment method: Input your debit/credit card details. Check the Save card details for future use checkbox to save your card details for future transactions. Kindly note that to ensure the safety of your data, your debit/credit card details will not be stored in our systems. Review your order: Here, you can check the details of your order, including the item description, quantity and price. Shipping and GST charges will be reflected where applicable. To submit your order for processing, click on the Place Order Now button. You can track your order under Account Settings. 7. Can I place an order over the phone? 8. What could be the status of my order? Processing: This means that you have placed an order successfully. All orders are subject to availability. If an item is unavailable after the order is placed, you will be contacted by one of our customer service representatives. Shipped: This means that your order has been shipped from our warehouse and is on its way to you. You will receive an email notification once your parcel leaves our warehouse. You can use the carrier information in the email to track your order. Cancelled: This means that your order has been cancelled. This is confirmed after you have contacted our Customer Service team and we have not started processing your order yet. Returned: This means that your order has been returned. Your refund will be processed shortly after this. Once your order has been placed, it starts going through our ordering process immediately. While you can’t change an order that has already been submitted, you can return any product by following our Return Policy. If you want to order something new, you may place a new order online anytime. 10. Can I cancel my order if you have not shipped it yet? Unfortunately, we are unable to cancel any order even if it has not been shipped yet. If you would like to return your product, you can follow our Returns Policy. 11. What type of email notifications will I receive regarding my order? Order confirmation: This means that you have placed an order successfully. Your confirmation number and order details will be included in this email. Order shipped: This means that your order has left our warehouse and is on its way to you. You can use the carrier information in the email to track your order. 12. What are the payment methods available? 13. What if I forgot my account password? Proceed to the Login page and click on Forgot your password?. You will receive an email with the steps to reset your password. 14. How can I solve problems viewing the Omigo online shop? If you are having problems viewing Omigo, you could try deleting the cookies and the temporary internet files. This should help to solve your viewing problems. Please ensure that your cookies are enabled. Please note that our warehouse is closed on public holidays. For orders placed within a day before and after the holiday, processing time will be extended by 1 – 2 working days. 16. What are my shipping charges? During our limited time promotion, you will enjoy free shipping on all orders, regardless of your order value. 17. Can I deliver goods out of Singapore ? Unfortunately, we are not delivering goods out of Singapore at the moment and will only ship within Singapore. 18. Can I have a different delivery address to my billing address? Yes, it is possible. You can fill in different addresses during checkout. 19. Can I change my delivery address after my order has been shipped? Unfortunately, we are unable to do so as your order is passed on to our warehouse for processing immediately after you check out. 20. What is your exchange policy? Unfortunately we are unable to exchange products as our order processing commences as soon as your order is placed. If you wish to exchange a product, you will need to return your purchase for refund and place a new order. It is only possible to get a refund on returns when it is in line with our return policy. 21. What should I do if I received the wrong product? If you have received an incorrect product, kindly contact our Customer Service team with the details of your order. They are available Monday through Friday from 9am to 6pm*. 22. What should I do if the product arrives damaged or defective? If you have received a damaged or defective product, kindly contact our Customer Service team at +65 6845 8050. 23. When will I get my refund? Your refund will be processed as soon as the returned product is inspected by our Quality Assurance team. This quality check can take up to 14 working days. Once the return has been approved, it will take 1 – 2 working days for the refund to be made to your payment services provider. Please note that the time taken for a payment services provider to provide you with your refund can vary depending on the provider. 24. I am a tourist visiting Singapore, am I eligible for GST refund? We are not part of the Tourist Refund Scheme and will not be able to process any GST refunds. 25. What if I can’t find the answer to my question here? If you cannot find the answer to your question here, kindly contact our Customer Service team at +65 6845 8050 and we will assist you from there. 26. What can I do with “My Account” once I register with Omigo? You will be able to edit your account settings, track and review your orders, tailor your preferences such as email notifications, as well as gain access to exclusive updates and news. 27. What if the product that I want to buy is “Out of stock”? Please check back frequently as we are constantly updating our site with new products and replenishments. 28. Why will there be changes to my cart if I do not check out immediately? Stock changes – if you keep an item in your cart but do not check out immediately, we will hold the stock for you for a limited time before removing it. This is done to ensure that your cart remains fresh and updated. 29. Where do Omigo products come from? Our products are sourced from a range of local and foreign sources, including manufacturers, brands and third party sellers. You can find out about the product source on the product page, under Item sourced from. Please note that as Omigo does import items directly from overseas, such as USA and Europe, the plug may differ. You may need a simple local adapter for local sockets. We endeavour to ensure that all items sold on Omigo are compatible for use in Singapore.